It’s a long-standing piece of advice: to really succeed at work, you need to be a ruthless, hard-nosed go-getter. Your employees aren’t your friends, they’re there for one thing and that’s to get the job done. But recent research from The Empathy Business suggests it might be time to rethink that approach. In fact, those leaders and companies that embed empathy – the ability to understand and share the feelings of others – into their business models perform far better than those that don’t. The idea that empathy is the secret to business success is a far cry from the dog-eat-dog corporate mentality that has prevailed for so long. What led to this cultural shift? It’s perhaps no coincidence, then, that tech companies have been the force behind this cultural change. 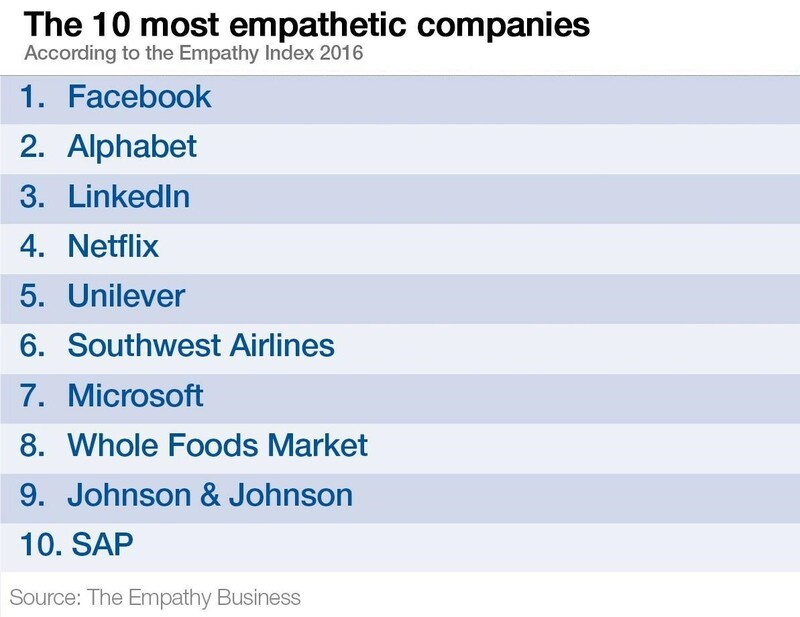 In the latest Empathy Index – an annual ranking of businesses based on how empathetic they are – tech firms make up 60% of the top 10. Social media giant Facebook took the top spot in this year’s index, and it’s not hard to understand why: it listens to what customers and staff are saying, tries to put itself in their shoes, and then makes changes based on that feedback. 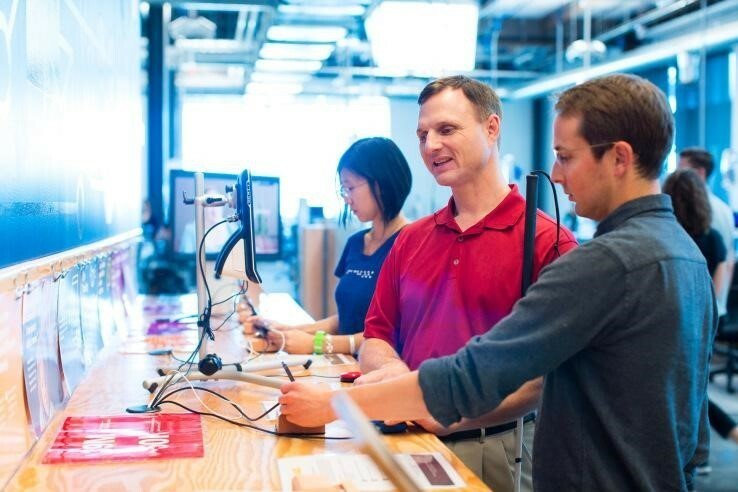 One example of this in action is its Empathy Lab, which gives Facebook engineers the chance to experience for themselves how customers will use their products – even if those customers are visually impaired or hard of hearing. The hope, Facebook told Wired magazine, is that designers will understand what their customers are experiencing, and build products that take their needs into account. “We wanted to build empathy into our engineering,” a representative explained . The shift in focus towards empathy is good news not just for customers, but for companies as well. The businesses towards the top of this year’s index increased in value twice as fast as those at the bottom, and generated 50% more earnings per employee than the worst performers. They’ve also got a competitive edge when it comes to hiring the best and most talented staff. Increasingly, employees – particularly millennials – are “demanding empathy”, Parmar told us. “And to win the war for talent, businesses must cater to it.” That might explain why most of the leaders in this index regularly appear on lists of most desirable employers. If empathy is so good for business, why aren’t more companies following Silicon Valley’s lead? Parmar remains optimistic: it’s taking time, but gradually even the most old-school of companies will get on board. “The tech industry is a lot younger and forward thinking than most industries. It will happen when companies realize the correlation to performance,” she maintains. If this year’s index is anything to go by, that change might already be taking place. Take Ryanair, the budget airline with a somewhat chequered history when it comes to customer service. Last year it finished second from bottom in the index. Perhaps it was the repeat profit warnings , but the company realized change was needed: low prices weren’t going to be enough to keep customers coming back. So it embarked on what has been described as a Damascene conversion . Through its Always Getting Better programme, Ryanair set about listening to customer feedback and scrapping the policies people didn’t like – unallocated seating, draconian luggage rules and hidden charges. The new approach is already paying off: this year Ryanair not only increased net profits, but it climbed 13 places in the Empathy Index. Proof that empathy isn’t just about being a nice guy: it makes good business sense. You can see the full 2016 Empathy Index here.